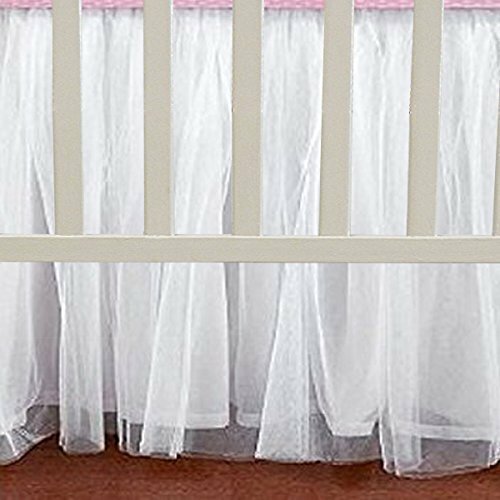 3 sided Tulle Tutu Ruffled Lined Crib Skirt / Mini Crib Skirt / Circular Crib Skirt in any color and drop length. Machine wash. First wash separate hand wash. Do you want matching pillow cover, duvet cover, curtain, valance? Do you want custom size bedding, write to me.